SEO Manchester, SEO Agency Manchester, SEO Services Manchester or SEO Company Manchester. We take time and care to look through your historical SEO and compare this with our knowledge of both SEO and your industry. We’ll tell you what is working well, and what could do with some improvement. It doesn’t hurt to take a look at what everyone else is doing in your industry. We use a variety of intelligence tools to delve into your competitors to learn where we can gain some insight or competative advantage. Working alongside you, we pinpoint your perfect audience personas to create compelling customer journeys. Ones that cater to the needs and requirements of your audience, helping them to convert. Finding the right keywords to attract the audience you want on your website requires research and analysis. We look for keyword terms that attract the right personas with high user intent. Using the research, we pull together an SEO strategy that has the success of your business and the needs of your audience at the core. We will then guide you through the strategy and work with you to adopt it. Keyword friendly, relevant links privide the foundation of incredible SEO results. Our outbound link building tactics boost your online presence by utilising creative content to build your White Hat friendly links. We conduct on-site optimisation to prime your site for the search algorithms. We optimise content, titles and descriptions, URLs and internal links to send clear signals to the search engine robots. We produce meaningful reports and data each month with a clear narrative to make things easy to understand and helps us collectively make better decisions on how to adapt the strategy to keep you moving up the rankings. The result of your newly acquired keyword rankings is an increase in traffic to your site. We help you to maximise the connversion rate of this traffic by identifying any visitor pain points that can be tweaked and tested. Amazing turnaround, thanks for such great links! Your potential customers are using search engines like Google while looking for the products and services they plan to buy. Similarly, more and more businesses are using SEO to standout locally in Manchester and in their specific niche. Unless you are using sophisticated SEO techniques, you are not only lagging behind rivals but also ignoring the most effective tool to reach your target audience and maximise your return on investment. Being a top Manchester SEO Agency, we can help your business standout locally and in your industry. Generally, Google uses more than 200 factors when analysing websites determining a specific rank for a specific search term like SEO Manchester. So, it is no surprise that many business owners see search engine optimisation as a challenging puzzle that they can’t solve. There are many elements of your site that may need to be altered to be sure that your business website has the best chance of ranking for the specific search terms your customers are using and this is important to get right as it is the foundation of all SEO strategies. For example, we know our potential customers are using the search terms SEO Manchester and SEO Agency Manchester, in order to find SEO services. At Caffeinated Projects, we understand this challenge and have built this page in such a way that Google and (hopefully) our potential customers will find it attractive. Each client and the specific segments of their target audience is different. This is the reason we tailor our search engine optimisation services to suit your site and the specific requirements you have. If, for instance, you want more local clients, we can set up and optimise your Google My Business listing and include your business in the right local directories to get you noticed. 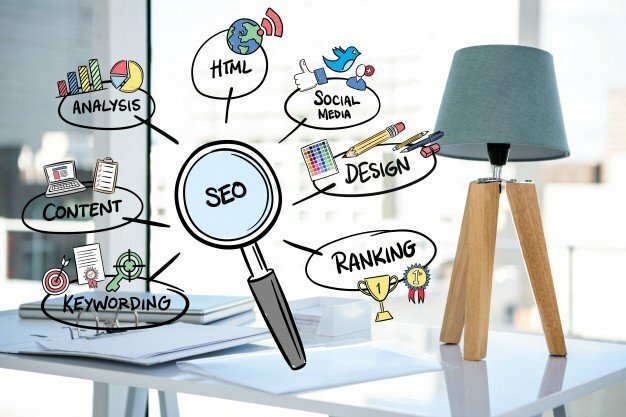 If you want your website to rank nationally or internationally for specific search terms, our team of Manchester SEO specialists can develop an effective strategy to build an excellent link profile, plus a great reputation and credibility for your website. We can analyse your site and create a unique and highly customised strategy to make it rank locally, nationally or globally. We always strive to become an SEO Company Manchester business owners can trust and partner with. We work with our customers to understand their specific needs. We always work in collaboration with clients to figure out a unique SEO strategy that can help their sites rank better on search engine results pages for specific keywords. 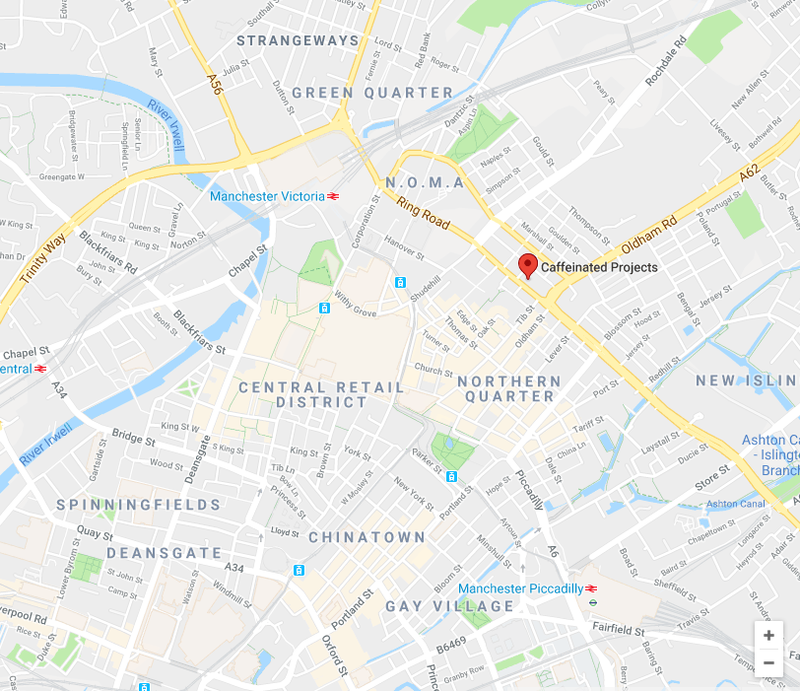 Whether you plan to improve your site’s search engine presence for customers in and around the Manchester region or you intend to reach a national or global audience, you can count on us. We are an SEO Agency Manchester businesses can work with to set up an SEO plan and trust us to implement it effectively to give you the ranking and traffic you need to generate revenue for your business to succeed. By getting more visitors who are interested in your products and services to your website and restructuring it for better user experience, we can boost the site’s client acquisition and retention conversion rates. If the site users spend more time getting to know your brand and products on offer, there is a higher chance of conversion – convincing the site users to purchase something, sign up for a freebie or regular updates, submit an enquiry, or any other action you want them to take. As much as many business owners want to get as many people as possible to view their website, the most important thing is to attract relevant traffic and converting a larger percentage of these site users into buyers. At Caffeinated Projects, we focus on making sure that your site gets huge and relevant traffic. We also ensure that you get more conversions. Our team of Manchester SEO specialists work tirelessly to ensure that internet users searching for your products or services find an engage with your business website. Generally, our SEO approach comprises of two parts. Generally, on-page SEO is the one that nobody really wants to talk about (unless your a geek like me). Is focused on making your website attractive to both users and Google. In fact, you should think of Google as person at a party that everyone fancies and you should make sure that your site is primed to get as much of Google’s attention as possible. Gone are the days when you could just buy a domain like ‘seomanchester.co.uk’ and instantly rank well for people using similar search terms. This technique was known as EMD (exact match domain) and was very effective. However, Google has been developing and updating its algorithm. It has reduced the emphasis on the domain name. The search engine giant has maintained its focus on the quality of content published on the site, the quality of links pointing to the site, and the usability of the site. To keep its reputation as the most reliable search engine around, Google ensures that whenever an internet user searches in its index, the most helpful and relevant resource is available. Therefore, the right website structure, quality of the content published, and intensive keyword research are some of the elements of SEO you must take seriously. To help attract the right users to your site and increase its conversion rate, we take the time to study your target audience activity. 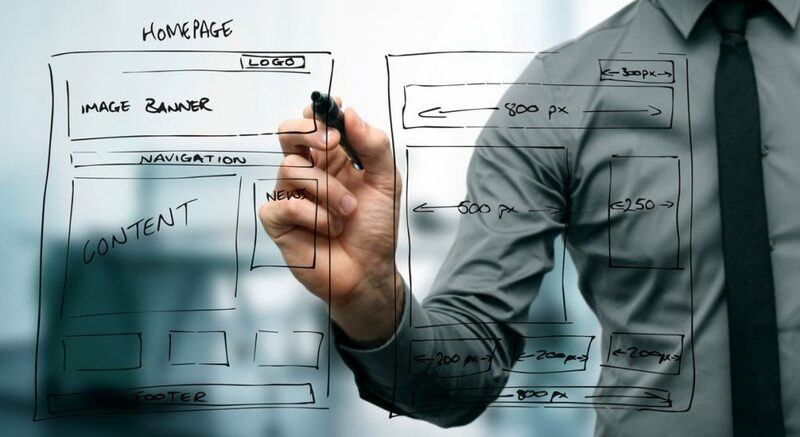 We use highly sophisticated tools to effectively analyse your site’s user experience. Understanding your site’s user experience makes it easier for our team to position the ‘call to action’ appropriately. Over the last few years, off-page SEO has morphed into influencer marketing and PR. It also appears as PR and content marketing have morphed into search engine optimization. Generally, these fields are interlinked and complement each other. At Caffeinated Projects, we understand that gaining top value links is an effective way of building your site’s credibility. That means your site requires links from other reputable sites that are also relevant. Combined with on-page SEO, high site credibility helps your website rank better on search engines. You will notice this part is shorter than the first, and that’s for good reason. We believe in the importance of understanding an industry before trying to manipulate your position in it. So, we’ve developed an extensive research and discovery process which gives us insight into your market. We analyse competitors, opportunities, and gaps within your industry, then use our experience in user engagement, content and outreach to create new, exciting content that is fit for purpose and shareable. Oh, and just so you know. This page was created as a test to see how quickly we could rank for the search terms SEO Manchester, Manchester SEO(Google should really treat these as the same search term – Ahrefs and Agency Analytics disagree on this point), SEO Agency Manchester and SEO Company Manchester. Check out the Google search trends, they are competitive search terms with a lot of searches every month. Ranking for this was not going to be an easy task even for a leading Manchester SEO Agency like us, as we are going to be directly competing against every other SEO Agency in Manchester. We are going to be showing you the results of the test and will be updating the pages ranking in Google on a weekly basis, so watch this space for updates! We’ll continue to update this every week, or at least until we reach our goal. Week 3 Update – So, it looks like the page is starting to gain some decent traction in the SERPS now, with significant increases in position across the board. Remember, we have done no link building to this page whatsoever and are still able to get it to rank for one of the regions most difficult keywords. Week 4 Update – Things are starting to slow down a little with a couple of the lower volume keywords slipping a few places back to page 3. This week we will make a few small changes to the on-page elements. We have still not built any backlinks to this page. See you next week for the updated ranking results! Why are we the SEO agency for you? We’ve got more SEO knowledge than you can shake a stick at and we have a dedicated SEO team here in Manchester, with a technical lead who oversees the team, all of which have a deep understanding of the way SEO works. Search Engine Optimisation, Search Marketing or Online Advertising, depending on your viewpoint has been around since the mid 1990s. The fist web page was published on 6th August 1991 (the height of Madchester), the page is still around today at http://info.cern.ch. SEO is the process of making your website appealing to the widely known search engines, like Google and Bing and engaging people to spend time. By making a web site more appealing to search engines and its users, you have a better chance of getting a higher ranking on the organic search engine listings. Whilst the search engines keep the best way to make sites appealing to their algorithms a sclosely guarded secret, it is not too challenging to figure out what they want. As with all things in life and business, there are individuals that attempt to use shortcuts and unethical practices to rank your website. This is known as Black Hat SEO and can involve keyword stuffing and using questionable practices of gaining links to the site. These practices aren’t great and sites using them are by and large given substantially lower ratings and in extreme instances, an offending site can even be removed from the search results all together. The best and most ethical sort of Search engine optimization – the type Caffeinated carry out here at our HQ, is known as White Hat SEO. White Hat is by far the safest way to optimize your website for the search engines due to the fact it is futureproofed and holds no risk of harming your SEO. It complies with Google’s guidelines and uses great quality content that user and search engines love. Content marketing is an extremely advantageous process of growing your ranking and site traffic. If you sre looking for a Manchester SEO agency that specialises in pure, White Hat Search engine optimization then speak to us. We are well known for keeping abreast of the latest algorithm modifications and would be happy to give you as much guidance as you need on the rigtht way to optimise your business’s website for organic search results. What is your SEO track record? We know that businesses that contact us for search engine optimisation want to be top of the pile and that’s what we strive for. Through top quality content marketing and outreach we are able to get our clients links from some of the biggest publications in the UK, including Mail Online, The Independent, The Manchester Evening News and many more. SEO is a complex, layered discipline. There are different types of SEO and many factors that can have an influence. Your experienced SEO consultant will help you identify what is important for your business. This will be influenced by the industry you’re in, the geography in which you operate, and your SEO strengths, weakness, opportunities and threats. SEO can be complicated. So understanding your current situation and marketplace is key to making the right decisions. And for smaller businesses we can often remove much of the complexity, enabloing us to talk about about content, links and website design. Are these no/ low risk SEO Practices? Your account manager and the wider team here understands that the search environment is challenging and is constantly evolving. We also know the risks that come with bad SEO practices so we only use ethical white hat SEO techniques to help you rank better. We adjust our services regularily to keep ahead of the changes and to abide by Google’s strict guidelines, meaning our offsite SEO approach is firmly rooted in content marketing and blogger outreach. Do you do onsite optimization? Yes, we use SEO tools to give us an idea of what methods are working to bring traffic to your website. This multi-layered audit is used to basically mold your website into shape where it receives enough attention from search engines crawling it to attract visitors. This is a delicate job that pays huge dividends when properly executed. Search engines are key to how we all look for products and services online. Making SEO a great way to get in front of your potential customers. So, while organic search visibility is always desirable, it should not be relied upon solely, especially if you need results fast. Using methods like PPC advertising will deliver fast results while you get your SEO up and running. So, you may not rank quickly with SEO, but the sooner you start investing, the sooner you can benefit from this highly popular and cost effective marketing. Yes, your account manager will produce a clean, crist and detailed monthly report and is available to answer any questions you might have.